This frosted grapes recipe takes deliciously simple grapes to a whole new level. Grapes are one of my family’s all time favorite fruits. If I put out a bowl of grapes I can pretty much be guaranteed that they will be gone by the end of the day. I have never actually done much COOKING with grapes, though. Usually we just pop them in our mouth until the bowl is empty! 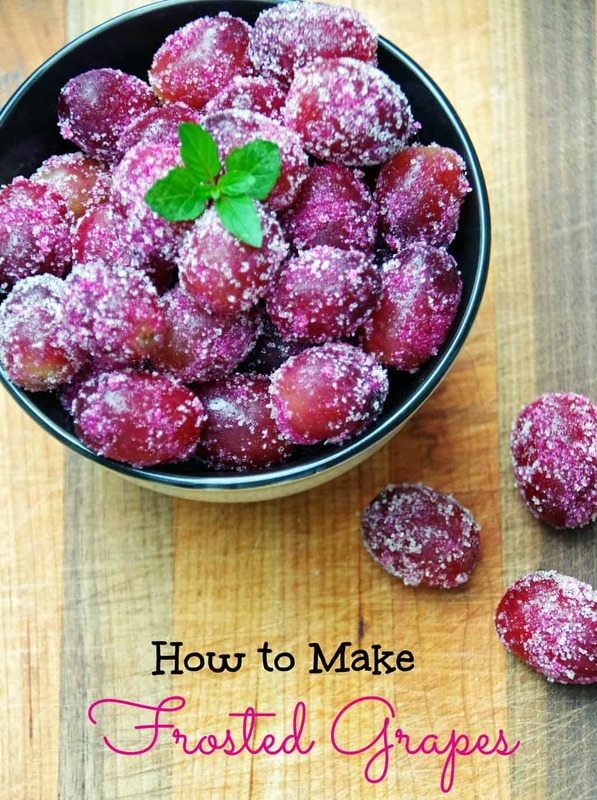 When I came across a post on Pinterest about how to frost grapes, I was intrigued! Frosted Grapes are like CANDY, only healthier! So, why make frosted grapes (AKA sugared grapes! ), you ask? Aren’t they sweet enough as it is? Yes, plain old grapes are plenty sweet! But, frosted grapes make a cute addition to an appetizer platter surrounded by crackers and cheese. They are also appealing to kids who may be looking for a little something sweet but you don’t want them eating candy. Frosted grapes with Jello are a much healthier snack than gum drops or other sweet, sugar covered candy. 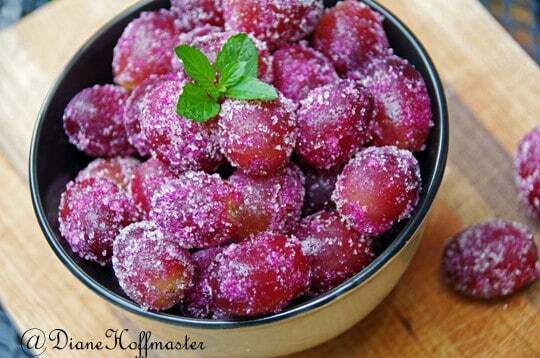 This frosted grapes recipe is an easy healthy snack. Sugared grapes are a delicious appetizer recipe for cheese platters and kids love them! Grapes should be firm, plump and firmly attached to the stems. The freshest grapes will have green, flexible stems rather than brittle ones. Obviously, you want to avoid bunches of grapes that have mold visible. Knowing how to choose the best grapes is only step one of the process in making sugar coated grapes! My first attempt at frosted grapes went fairly smoothly. There are several ways you can frost grapes, using either plain sugar or jello. I came across several recipes and suggestions for making frosted grapes. I was at Sprouts Market and came across a natural gelatin dessert that worked just great. No artificial colors and flavors is always a good thing in my mind! Remove grapes from stems and place in a strainer. Wash gently and pat dry SLIGHTLY. Place grapes in a gallon-size resealable bag. Arrange your frosted grapes on a paper towel to air-dry for about 15 minutes. 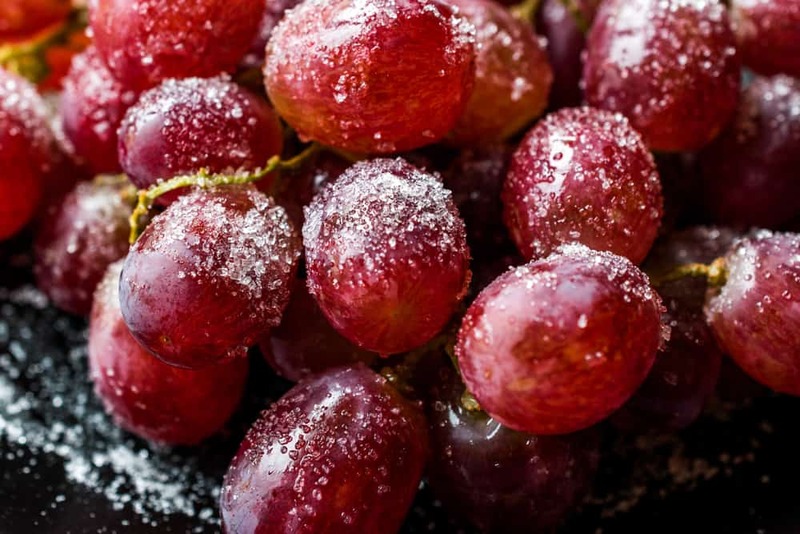 To make frosted grapes, some people recommend brushing the grapes with beaten egg whites and then sprinkling them with sugar or flavored gelatin. I was a little hesitant to have raw egg whites on my grapes and honestly, water worked just fine. Just make sure you pat the grapes dry a bit so they are not really WET…just a tad bit damp! fresh crunchy grapes with a sweet, fruity flavor. Into a large ziploc bag put the sugar and gelatin powder. Shake to mix. Working in batches, put the grapes into the bag and shake briskly. Place on cookie sheet and put in refrigerator to set for 1 hour before serving. These look super yummy. I have to try to make them. These look great! I'll have to try them. It reminds me that I grew up eating frozen grapes. So refreshing on a hot summer day. 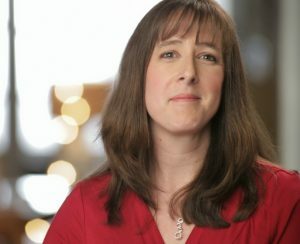 I'm surprised at how many folks think I'm silly when I suggest this. Freeze them separately. 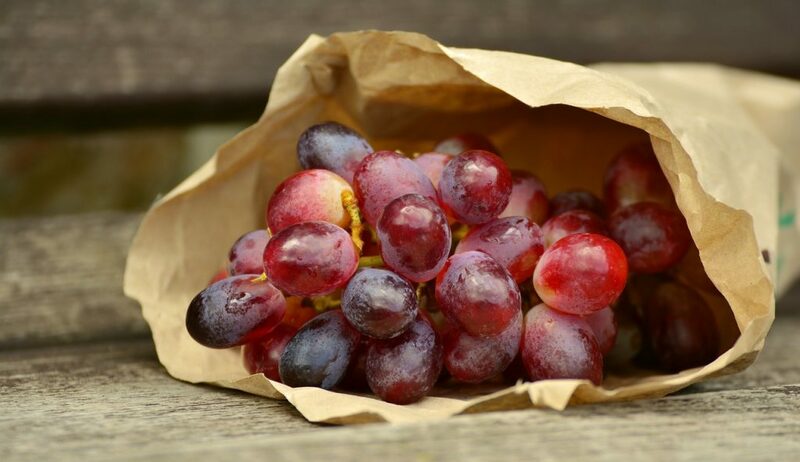 If they last longer than 15 minutes after freezing, then store leftover grapes in a plastic bag in the freezer. So refreshing on a hot summer day! I have been wanting to try freezing them! I think my daughter would love them that way! I had these at a wedding once! They were cascading down the grooms chocolate cake. Looked beautiful! I tasted one and I was hooked. I was serving the cake and kept sneaking the grapes lol Been wanting the recipe ever since! Can't wait to try! Hope you like them! I have seen people soak them in wine first before frosting with sugar!